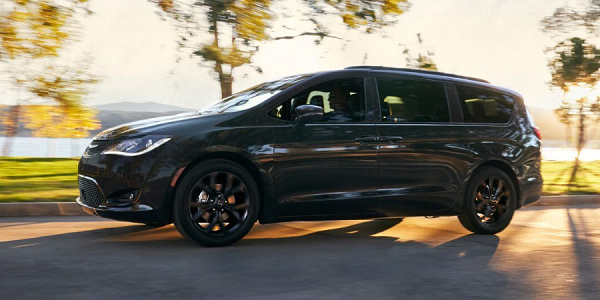 The 2019 Chrysler Pacifica is one of the best multi-purpose vehicles to hit the market this year. It is perfect for small and larger families alike living in and around Oak Lawn, IL with enough room for 7 people in the car. It also is an excellent value for money. It comes in six variants with them being the L, LX, Touring, Touring-L, Touring-L Plus and Limited Trim levels. It has a starting price of around $29,000 which is excellent value for money however if you want the most expensive variant loaded with all of the optional features it’s nearing $45,000. In terms of fuel efficiency in the city you’re looking at around 18 miles to the gallon and when you’re on the highway this will rise to around 25 giving it a mixed mpg of around 22 which isn’t bad at all saving the families of Oak Lawn, IL, trips to the petrol station and money. Under the hood, the basic model runs a 3.6L gasoline engine with 6 cylinders. 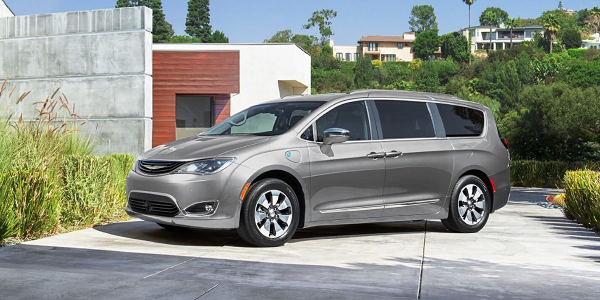 There is also a hybrid version of the 2019 Chrysler Pacifica which is cheaper when it comes to running it more environmentally friendly. Under the hood of the 2019 Chrysler Pacifica unless you have the hybrid version you’ll find a 3.6L V6 engine running on gasoline in the base model. This is complemented by an 8-speed automatic transmission. In terms of fuel efficiency, you’ll get around 22MPG mixed saving you money when it comes to filling the vehicle up. 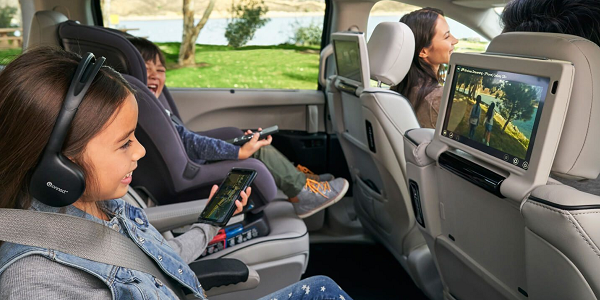 Being able to fit the whole family into the 2019 Chrysler Pacifica you can also recline third-row seats giving you ample space if you’re moving cargo around Oak Lawn, IL. It has heated door mirrors meaning they won’t frost up during the cold winter months meaning you can drive yourself and your family round safely. If you look to the back of the vehicle it comes equipped with chrome tipped spoiler as well as a rear cargo liftgate making it easier for goods to be lifted on. Also perfect for the winter are the rear window wiper and defroster meaning you can see what’s behind you no matter how cold it is. 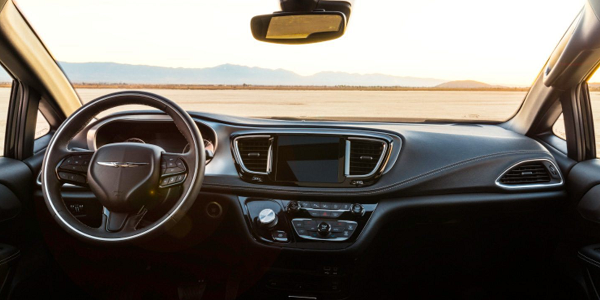 Inside the 2019 Chrysler Pacifica, you’ll notice a 7” LCD screen in the front which can connect to Android Auto or Apple CarPlay. This also has satellite navigation built in so it can assist you in getting to your destination. Each of the three rows in the car also has air conditioning with dual zone air conditioning in the front row. There are also door bins both in the front rows and in the rear rows along with a reclining third row of seats to help if you need to free up some space for some cargo. In terms of safety you’ll find the driver and the passenger have dual airbags to the front and side. For a family car the 2019 Chrysler Pacifica is loaded with all the essential technology you’ll need for driving around Oak Lawn, IL. When it comes to the radio you’ll have SiriusXM Radio with a Seek/Scan video. When it comes to parking, it is provided with standard Park Sense to help you fit into tight spaces without bumping into another car. As already mentioned you have a choice of two different car application systems depending on what phone you have, these being Android Auto and Apple CarPlay. 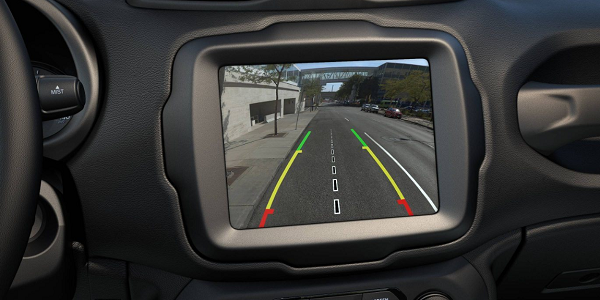 The 2019 Chrysler Pacifica has innovative safety features built in such as a park assist that alerts the driver when you’re nearing an object and will apply to brakes if necessary to avoid a collision, there is also blind spot monitoring which alerts the driver of the Pacifica’s blind spot and will let you know if any vehicles are crossing your path whilst reversing. In addition to the park assist there is also a surround view camera giving you 360 degrees of vision surrounding the vehicle. Why Buy From a New Chrysler Pacifica from Mancari’s serving Oak Lawn, IL? Here at Mancari’s CDJR serving Oak Lawn, IL, we specialize in providing only the best in customer service to the residents living here. Our trained, well experienced and professional staff can answer any question you have whether it is about the 2019 Chrysler Pacifica or if you have any questions on how our leasing or finance processes work for the residents of Oak Lawn, IL. Not only do we provide the best in terms of service but we also make sure that we can provide you the lowest price around for the vehicle you want. Our service doesn’t end when you’re driving the Pacifica away from our dealership and we give you an extensive list of warranties as standard with the vehicle and have an in-house service center should you need to get the vehicle seen at for any unfortunate reason. We are at a very short drive from you in Oak Lawn, IL so visit us today for a test drive!